It only takes a cursory glance at the gowns in the Valentino archives to understand that Mr. Valentino loves—no, really, loves—flowers. But that passion isn’t limited to floral prints and couture rosettes. 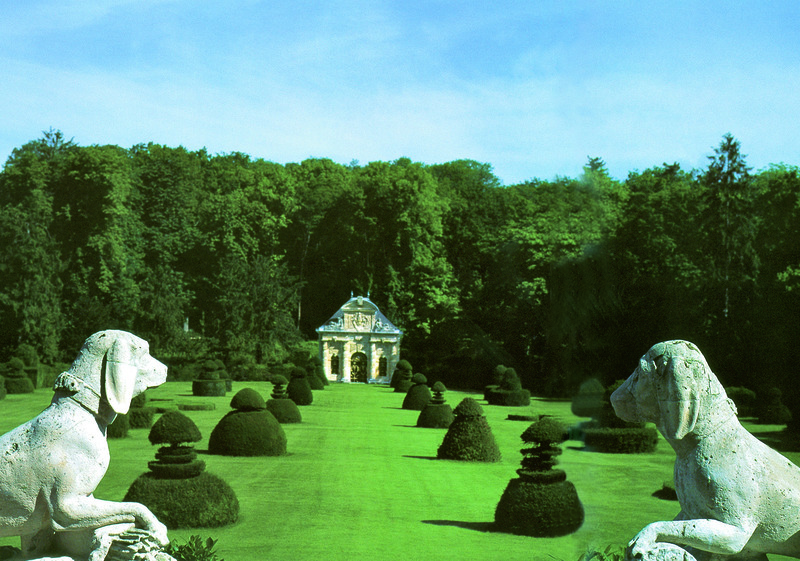 Indeed, one of Mr. Valentino's greatest joys is the garden at Wideville, which is soon to be in bloom. Several years ago, Mr. Valentino invited Martha Stewart to tour the gardens. 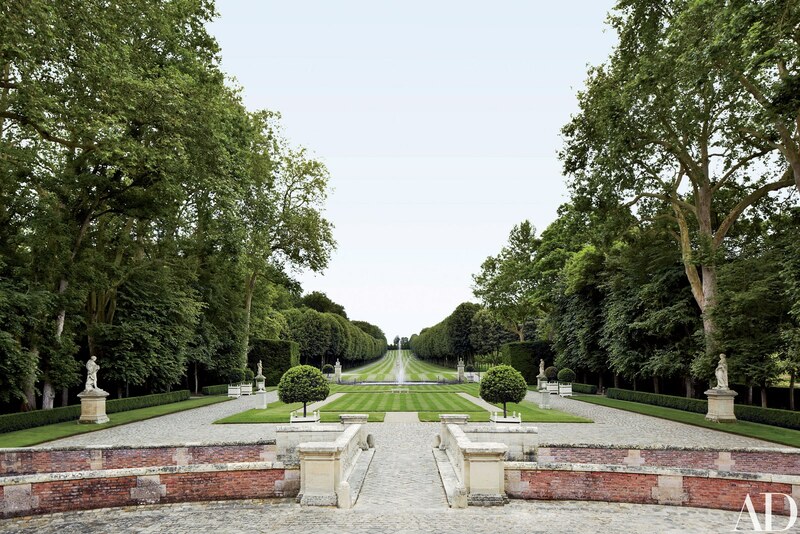 In the video made that day, Mr. Valentino recounts to Stewart the effort that he and landscape architect Jacques Wirtz put into bringing the chateau's gardens back to life after a long period of dormancy. There are rows of topiary and over a thousand fruit trees, including peach, plum, pear and apple, but the most spectacular aspect of the gardens is its variety of many-colored flora. As Stewart points out, on her tour, there are "tall spires of delphinium," and day lilies and wild orchid and snapdragons and more, plus a great field of lavender, its deep purplish-blue hue "mesmerizing," as Stewart put it. But that's not all. Any summertime visit to Wideville must include a promenade through the rose garden, which features, according to Mr. Valentino, over a thousand varieties and about a million roses overall. 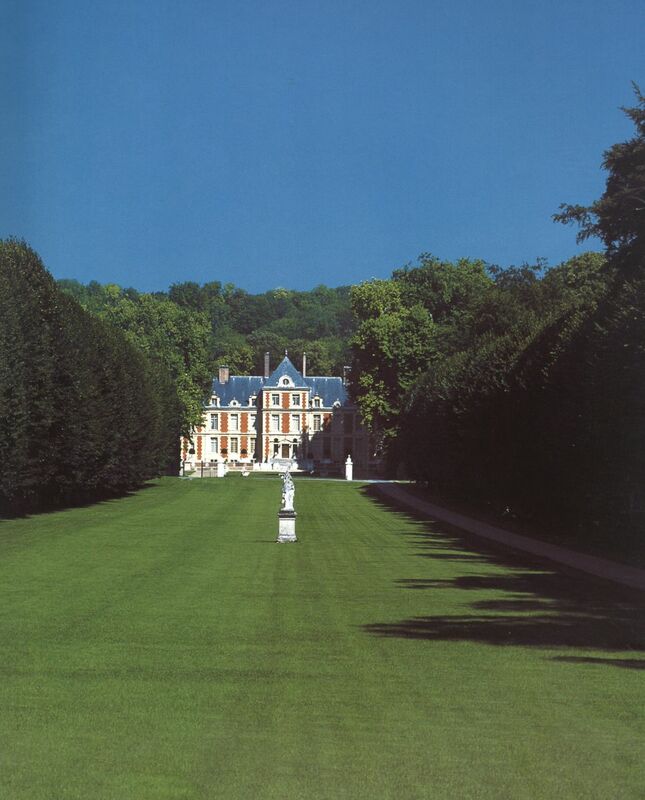 It takes twelve full-time gardeners to manage the chateau's 300 acres—and needless to say, it's worth it!